A THEATRE director who was awarded part of a huge grant for ethnic minority arts leaders has sparked outrage after it emerged his parents were both white Irish people. Anthony Ekundayo Lennon, born Anthony David Lennon in Paddington, London in 1965 to two immigrants from Ireland, was one of four people who won a paid traineeship as a "theatre practitioner of colour" last year. The two-year opportunity was funded by a £406,500 grant from Arts Council England to "deliver a comprehensive programme of talent development for future BAME (Black, Asian and minority ethnic) leaders". The actor describes himself as a "born-again African" and stated in 2012 that "although I’m white, with white parents, I have gone through the struggles of a black man, a black actor". He also claims a caretaker at his school once called him a "n****r" and threatened him with a dog. The paid traineeship was advertised as “open to people of colour” and Lennon applied as a "mixed-heritage" individual, according to the Sunday Times. Lennon, an artistic director at a black-led theatre company in east London - Talawa Theatre - previously discussed his identity on an episode of the BBC series Everyman in the early 1990s. "Anthony Lennon was born in Kilburn, west London. His parents both come from Ireland and are both indisputably white," read a synopsis for the show. "Anthony now earns his living as a black actor, because ever since he was a child he has looked black. "When his friends, who are mostly black, find out about his background, fierce debates invariably follow; about whether Anthony really can call himself black, and about what black skin means to those who are born black." The then 24-year-old Lennon was accused of cultural appropriation on the show but said he had suffered racist abuse while growing up in 1980s London and he decided to adopt a new identity and Yoruba African name, despite the misgivings of his father. "When my hair was shorter it looked like a little afro and people just assumed you’re half-caste," he said on the documentary. "When I was younger I would try to explain. After a while I just got sick of it, the explaining. "When I'm alone in my bedroom looking in the mirror, thinking about stuff I've written down, thinking about my past relationship-wise, pictures on the wall, I think I'm a black man." Actor Lennie James said on the programme: "Sometimes I feel like you are watching me. Watching me to say this equals a black man. Then you're taking it from me and sticking it on yourself." The organisation which distributed Lennon's traineeship told the Sunday Times that the job was awarded in conjunction with his theatre company. 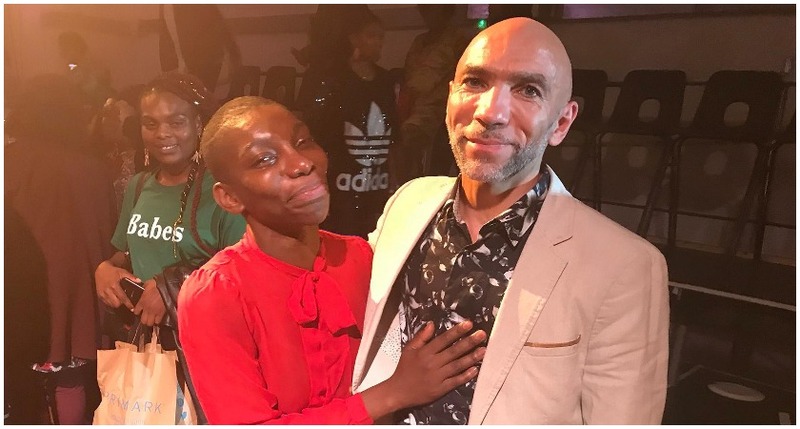 The Artistic Director Leadership Programme (ADLP) said: "Talawa were satisfied Anthony was eligible for the opportunity as a result of a relationship with him over a number years, in which he has identified as a mixed-heritage individual. "We received 113 applications ... and 29 were appointed to the ADLP." Arts Council England added: "Talawa raised their wish to support Anthony with us. In responding we took into account the law in relation to race and ethnicity.